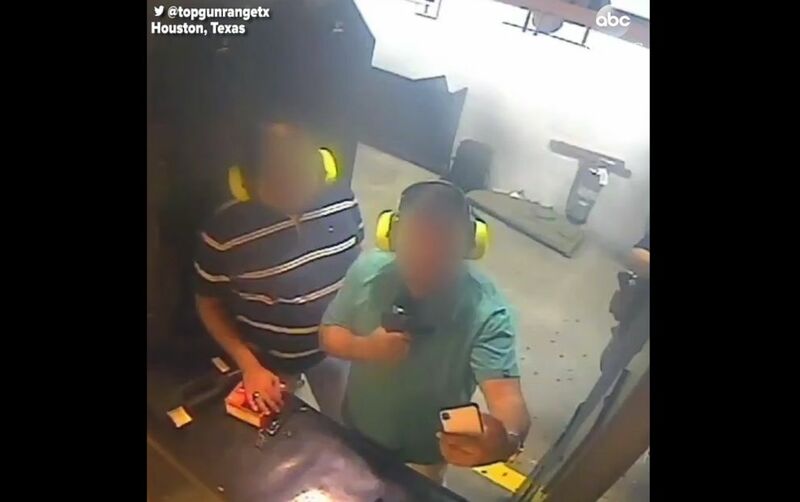 Two men have been banned from a gun range in Texas after a friend pointed a gun at the other to take a selfie, according to the manager of the range. 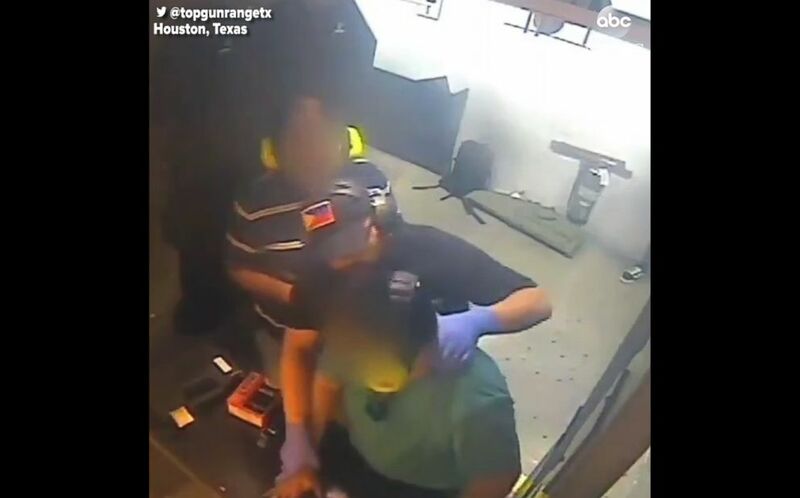 The incident occurred at Top Gun Range in Houston on Oct. 5, Kyle Harrison, manager of the range, told ABC News. Two men have been banned from a gun store in Texas for life after one of them point a gun at the other to take selfie on Oct 5, 2018. “After they were promptly removed from the range, we covered which rules they broke and then banned them for life from the range,” according to Top Gun Range. All the customers who come to the shop have to go through a safety brief and are required to follow the rules, Harrison said. “We have people who've broken [the] safety rule[s],” Harrison said. “I’ve never had anybody point a gun at their friend’s head before,” he added. 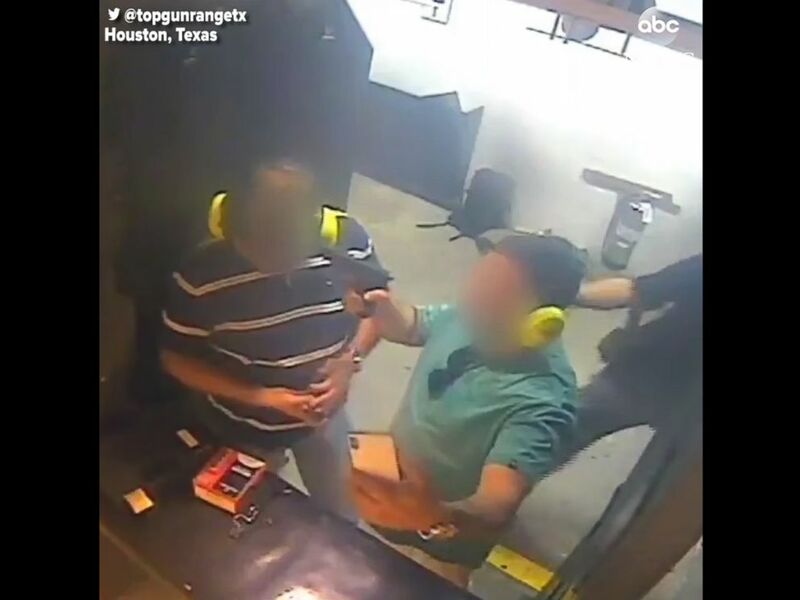 A video shows the two men hanging out at the shooting range and taking selfies when one of the men pointed his unloaded gun at the other man’s head. It's at this point that the video shows security intervening before both men were escorted out of the range. Harrison wants this to be a "lesson learned" for others, he said. “We have zero tolerance for safety violations,” Harrison said.